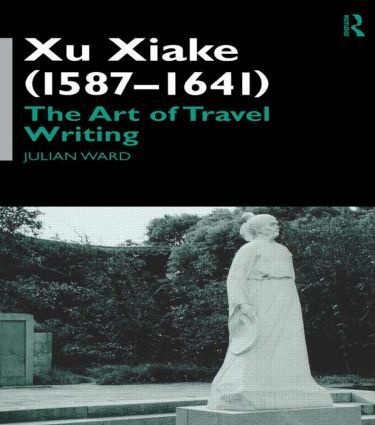 In this, the first full-length study in English of China's best-known travel writer, new light is shed on the importance of the diaries of Xu Xiake (1587-1687) a compulsive traveller who spent a lifetime visiting and writing about China's 'beauty spots'. The general view of his work, that he brought a sober, analytical approach to a genre previously the domain of the dillentante and that his writing was 'utilitarian' and lacking in literary merit is cast aside, revealing Xu to be a figure of his age, his concerns perfectly in tune with the exuberant tastes of other late Ming literati. Essential background is provided with a survey of the history of Chinese travel writing in general with particular emphasis given to the late-Ming period and a resume of Xu Xiake's life. The core of the work examines the wealth of new information to be found in a longer version of Xu's account of his great journey to southwest China, rediscovered in the 1970s. Detailed study of Xu's use of language serves to underline the breadth of achievement of a man who utilised traditional and contemporary Chinese poetic language in order to express an emotional response to the landscape through which he passed. This is reinforced by a complete annotated translation of a deeply personal essay, written towards the end of Xu's life. The book covers a broad spectrum of voguish sinological subjects relating to late Ming China ranging from the huge growth in all forms of geographical writing to the anthropological analysis of the non-Han peoples of southwest China. This book will interest both seasoned sinologists and anyone who has spent time travelling in China or is interested in the art of travel writing.